of good taste, the Gourmet to Go Gift Card. It's the gift that puts a smile on everyone's face. 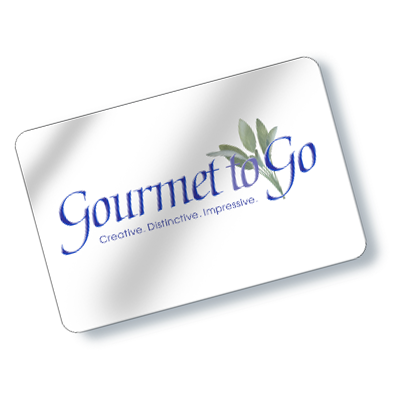 The Gourmet to Go Gift Card is available in any amount over $5.00. or stop by any Gourmet to Go location to pick one up.